Welcome to my running blog. As the founder of Howtorunamarahon.net I wanted another outlet for topics and observations that didn’t quite have a home on the website. Most of the articles here apply to all runners, not just those training for marathons. Hi there. I’m Michael Lohr, photographer, animal advocate, a cancer survivor, and long-distance runner. 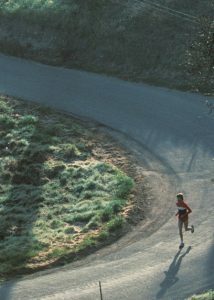 I began running at the age of 13 in the high desert town of Hemet, California. Homelife was less than ideal and running gave me a much-needed outlet which soon became a passion. 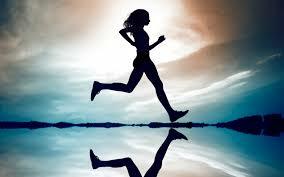 Running taught me discipline, perseverance, sacrifice, and goal setting. But perhaps, more importantly, it taught me how to handle setbacks and disappointments, which helped me overcome several significant curve-balls throughout life. Early on, I was fortunate to run among the top high school athletes in the nation, including my teammate Mark Fricker who was the top national runner his senior year. My High School Coach, Eric Russel was a protege of legendary Coach Bob Larsen, who coached at San Diego’s Grossmont college and won 7 straight titles during the “running boom” of the mid-1970s. After High School, I moved to San Diego to run with Coach Bob, and after beating the number one JC runner in the Nation in the 5k, I was honored to become a member of the Coach Bob’s Jamul Toads Racing team. Following that, I moved to Santa Barbara, CA, another city with an active running community. I put myself through photography school, but with tight funds, racing outside of Santa Barbara was out of the question. I was still getting in 80-100 miles a week with an eye on the Olympic Trials for Seoul. Santa Barbara hosted the World Masters 10K championships which attracted the best master runners in the nation. I won the open division and was first overall. But then, just as I was hitting my prime, I suffered a knee injury. Due to limited funds, I was unable to get treatment, and the knee took too long to heal without proper attention. So, my racing career came to an abrupt end, just as I was getting ready to move up to the next level. Years later I picked up running again, though not so seriously. I qualified for Boston and ran New York. During these marathons and other races, I gained insight about running for yourself… toward your own goals, within your own capabilities and without worrying about not being up with the pack of leaders as, historically, was customary for me. For the past 20+ years, I’ve used my early fundamental training, as well as decades of race experience, to create a successful running formula currently featured on my website, howtorunamarathon.net. Using this formula which focuses on three core principles: strength, speed, and endurance I train runners around the world. Coach Mike’s Blog for Runners is filled with practical insights for all levels of long-distance runners. Hopefully, this includes insight to overcoming adversity both on and off the course. I hope you enjoy this blog and find it useful in your running goals. I’d like to thank my wife Jenn for being a terrific editor and our three dogs for their unconditional love and boldness(they all amuse me daily and keep me humble), and thanks to my mom who passed away recently, for passing on her “grit and determination” to me.